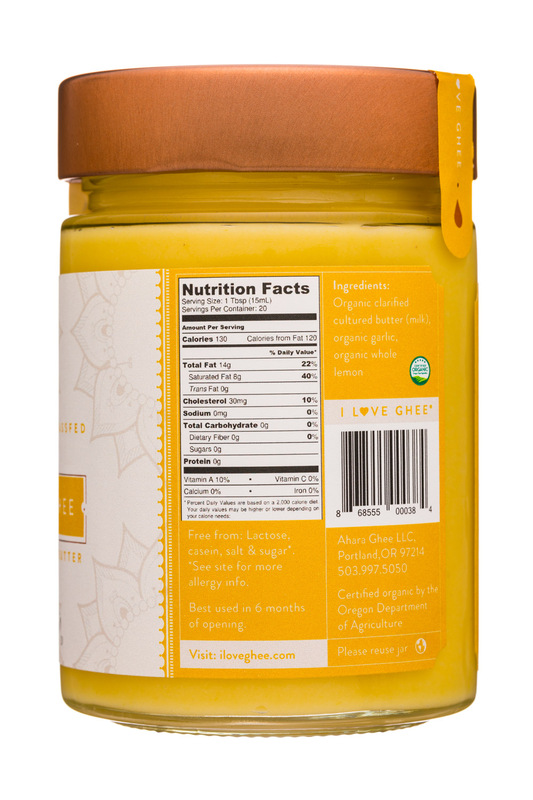 The finest Ayurvedic Ghee, made in Portland, Oregon from organic, local, pastured, cultured cow's butter. 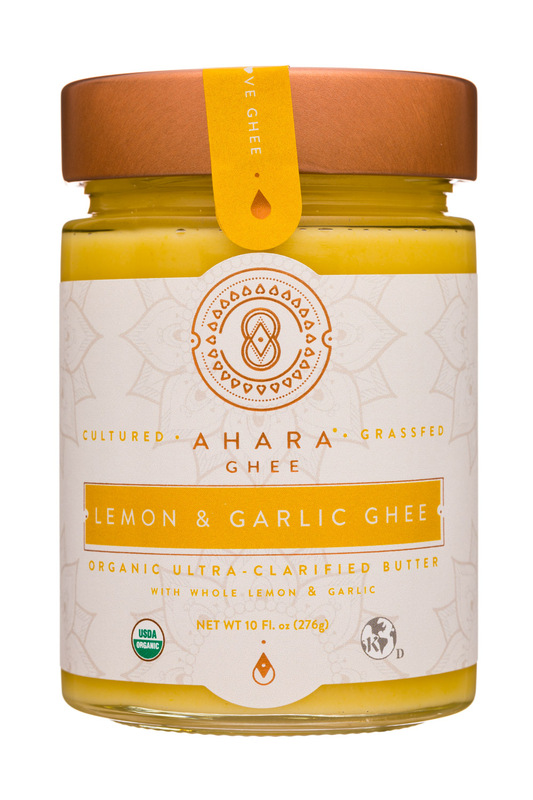 Made with mantra and Love. 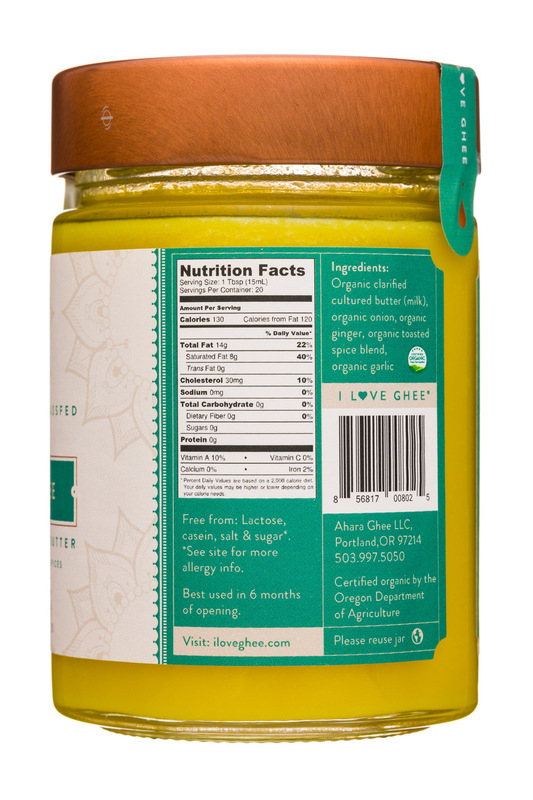 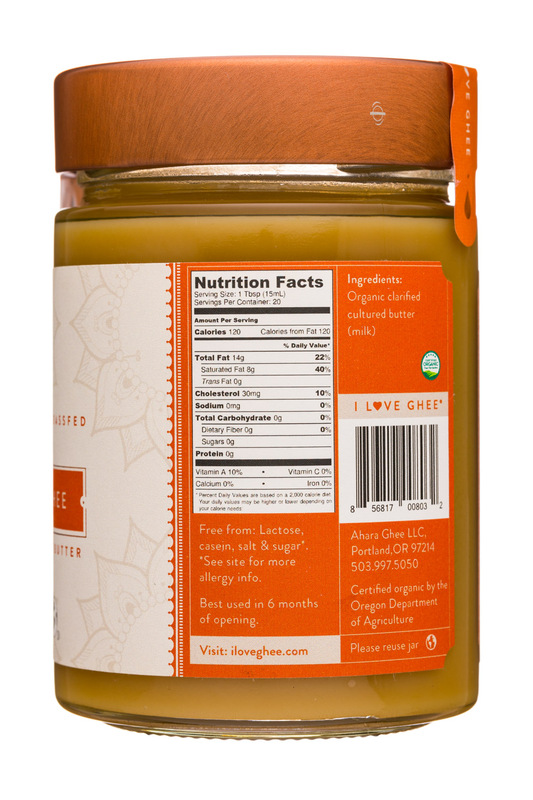 Northwest, small-batch traditional ghee cooked over open flame and made from local, cultured, pastured organic butter. 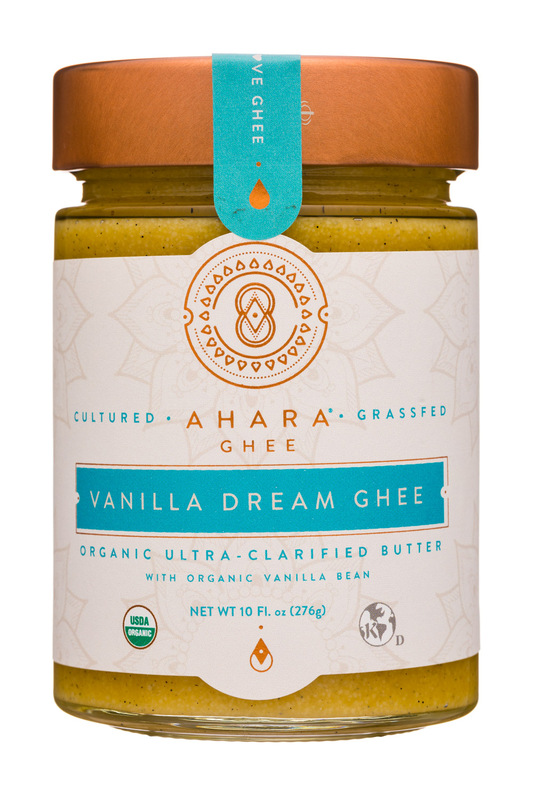 Our ghee makes a fabulous substitute for butter on popcorn, toast, pancakes and sweet potatoes, or anywhere you want to melt some butter. 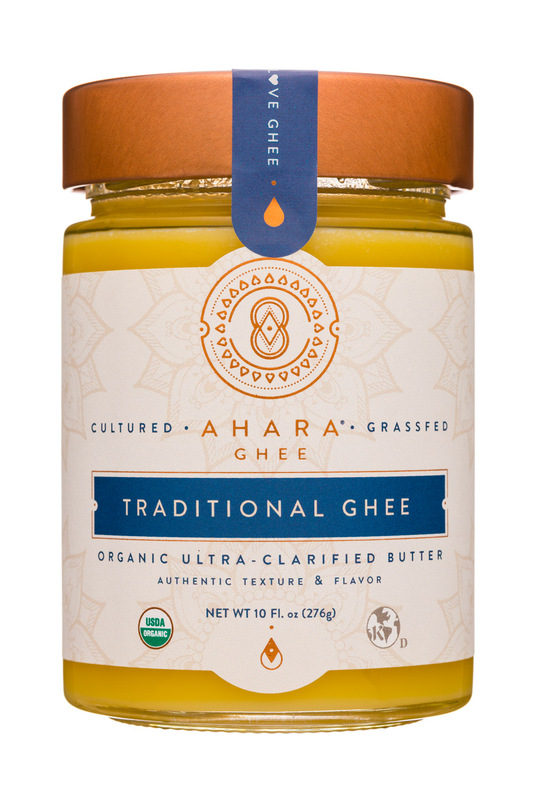 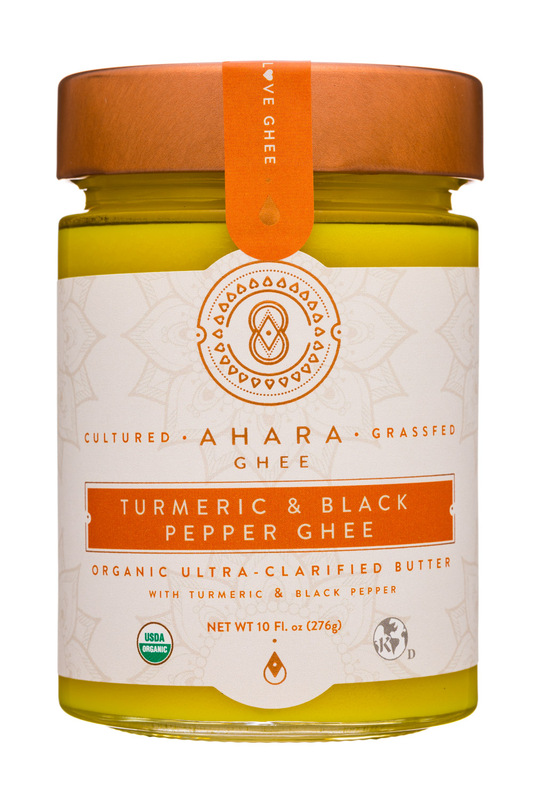 Ghee is also a scrumptious replacement for other medium to high heat cooking oils for sauteeing veggies, blooming spices or topping your favorite sweet or savory dish to add richness. 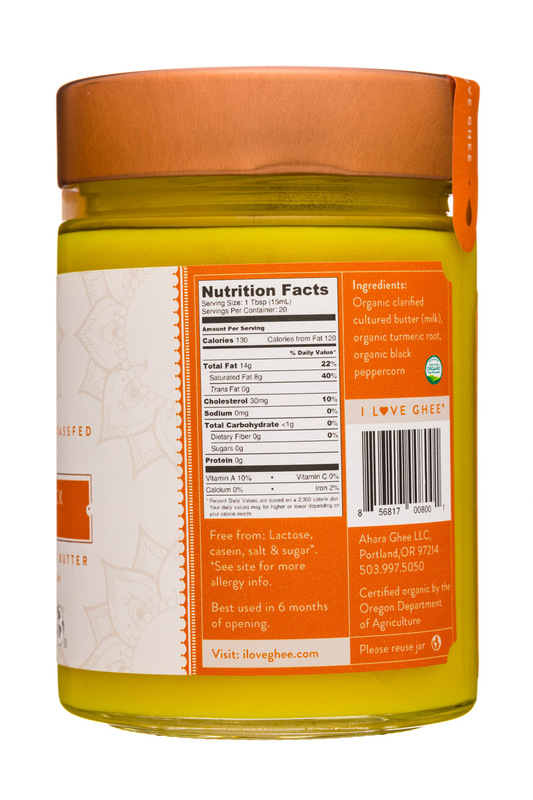 You NEED to try the flavors! 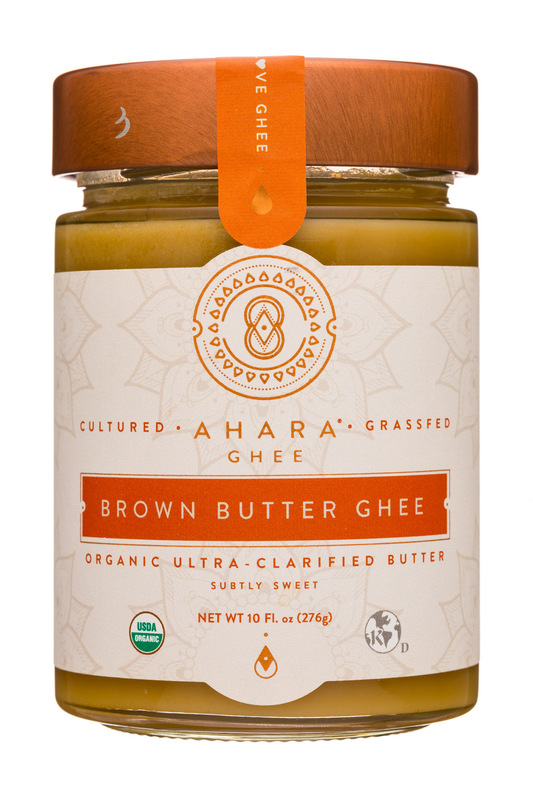 Ghee has been used in Ayurveda for millennia in sacred rituals and in numerious medicinal applications. 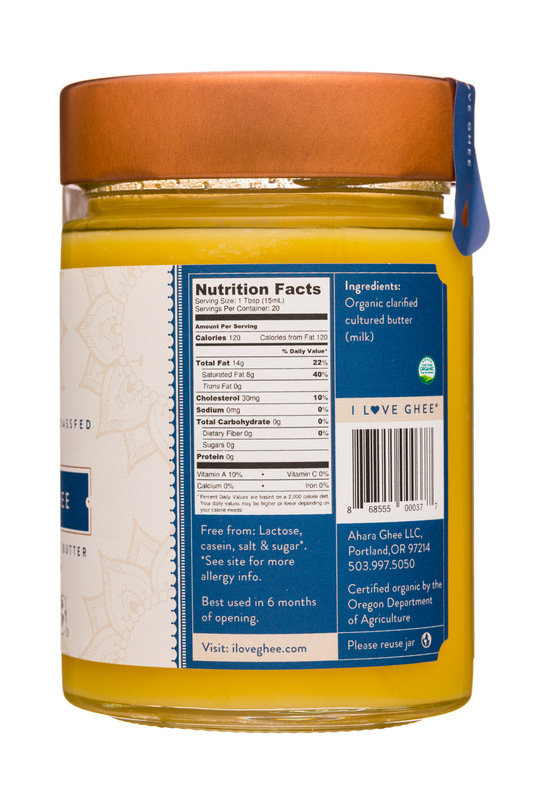 Ghee is lactose and casein free. 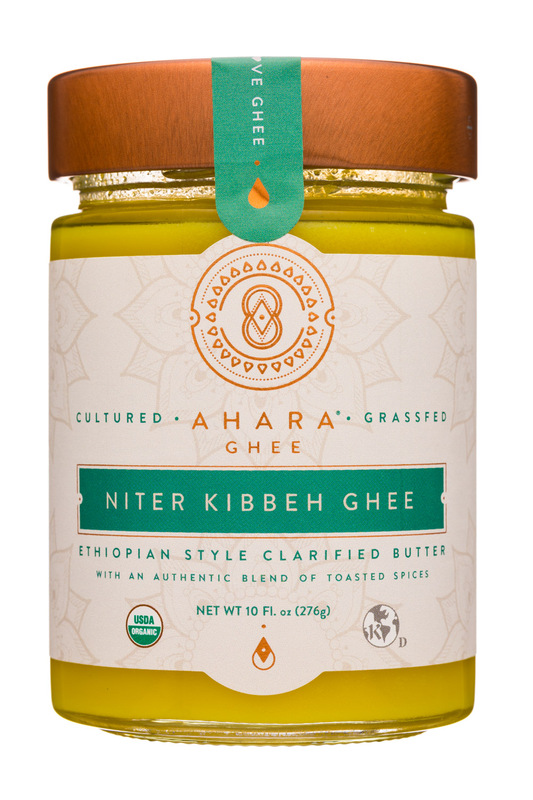 GHEEK-OUT!